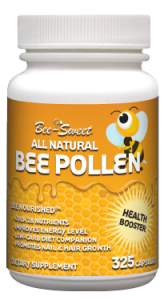 The Bible, The Talmud, the Koran, along with the scrolls of the Orient, ancient Greece, Rome, the countries of the Middle East as well as Russia all praise bee pollen and honey as a source of health for mankind. Natural foods, containing a high concentration of nearly all nutrients, nourish your body and give provide energy! Bee pollen may well be considered the world’s first health food. When pioneers moved on, bees would go along to prepare new hives in the next settlement. Their hives provided not only worker bees to pollinate crops, but were also a source of nutritional and medicinal help.